Let your eyes feast at first, savor visually the presentation of the plates that this restaurant will offer you, real works of art! In this restaurant you will have the chance to eat only selected and fresh products, a real guarantee of quality that will ensure you a perfect lunch or dinner. 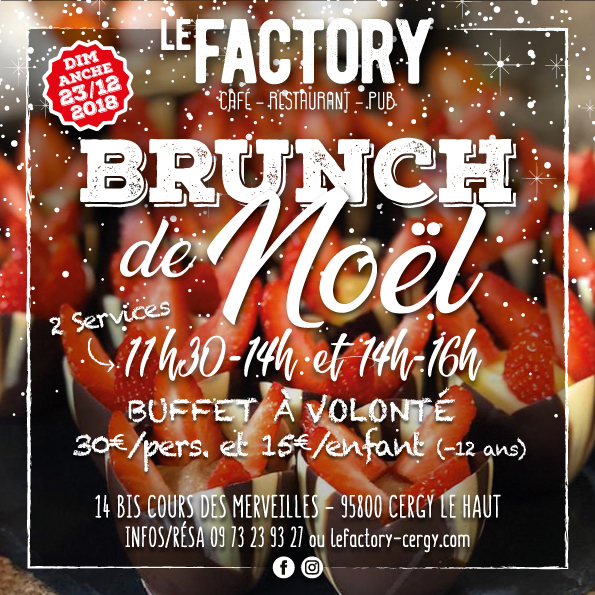 The restaurant Le Factory knows how to welcome its customers, the smile and the little word that put them at ease are a real pleasure to enjoy with friends or family.